NFL linebacker Bruce Irvin has had one crazy career! Originally being drafted to the Seattle Seahawks and helping them to a Super Bowl win in 2014 and a Super Bowl appearance in 2015 (and becoming the first NFL player to ever get ejected from a Super Bowl game), has now just signed to the Oakland raiders with a 4 year, $39 million contract! 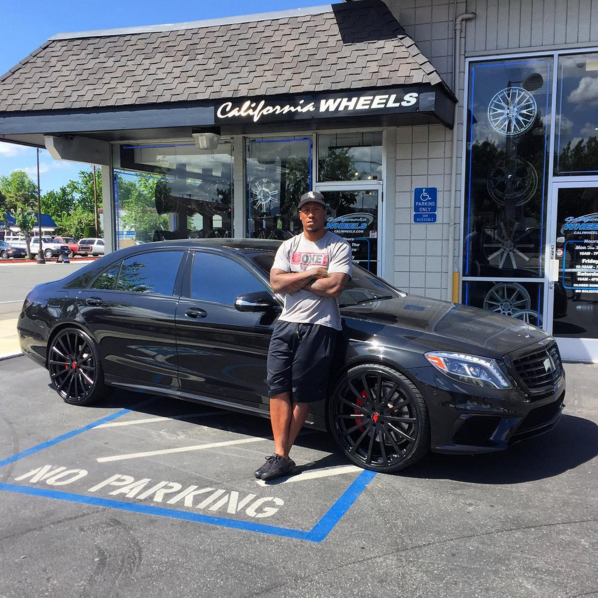 Needless to say he deserves to spend that cash and has opted for a new Mercedes S63 with custom black Forgiato wheels with red accents! 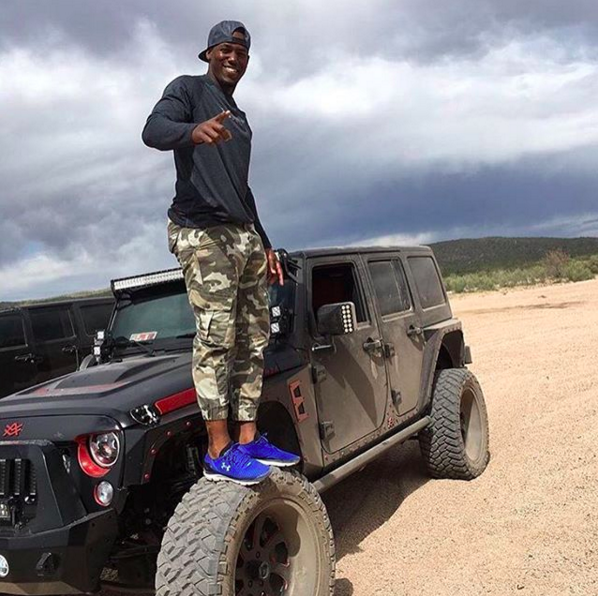 We think the menacing look is very appropriate for one of the most badass players in the NFL! 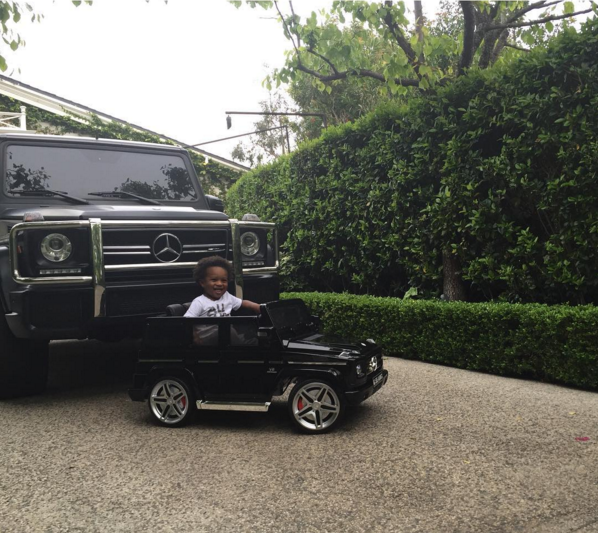 Russell Wilson Gets a Matching G-Wagon for Ciara’s Son! 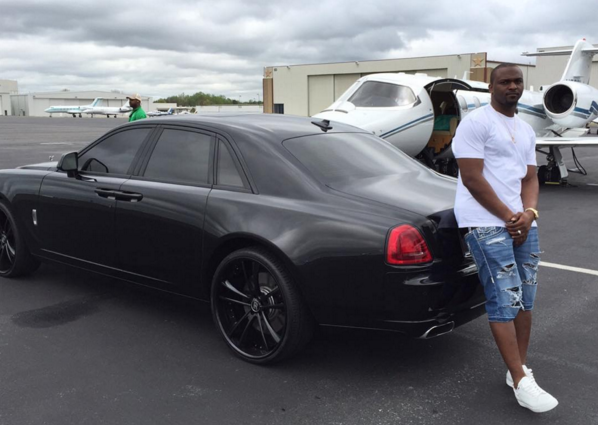 Celebrities never seem to disappoint when it comes to ridiculous yet awesome displays of wealth! The latest culprit? Seattle Seahawks quarterback, Russell Wilson and his fiance, Ciara who recently took to Instagram to show off her sons new (toy) Mercedes G-Wagon next to Wilson’s G-Wagon. To own a Mercedes G-Wagon is impressive in and of itself, but to buy a matching toy version certainly takes it to another level! 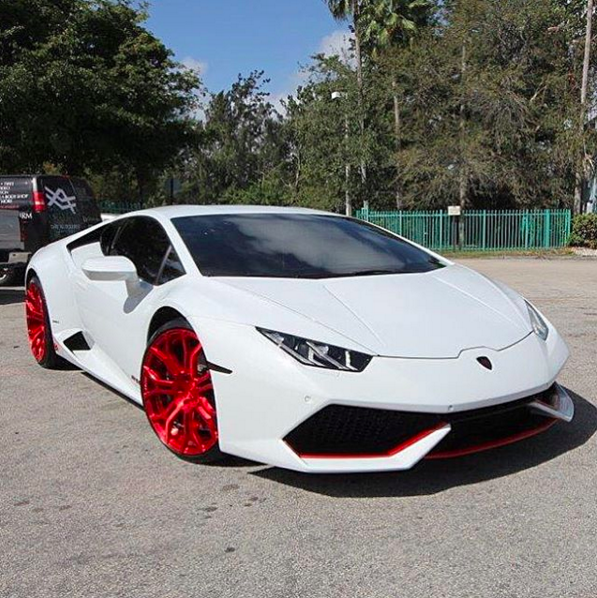 Yoan Moncada Takes His Lamborghini Huracan To The Next Level! 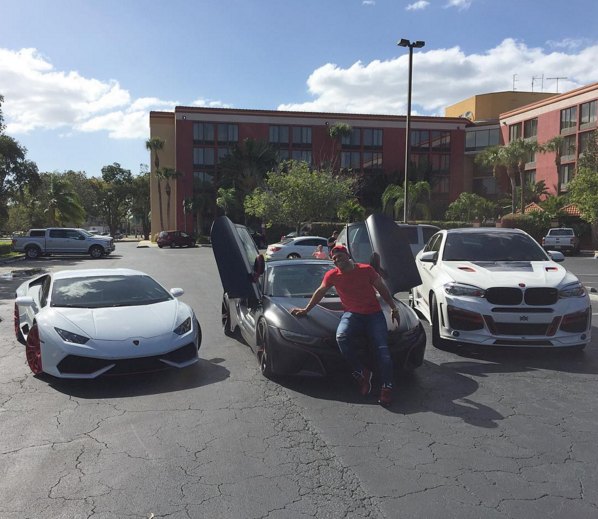 Yoan Moncada from the Boston Red Sox now has one crazy collection of cars! 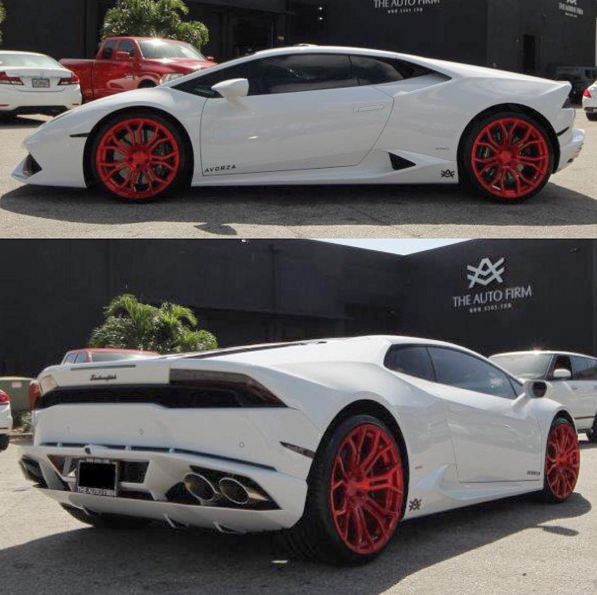 He recently overhauled his BMW i8 and picked up a new Lamborghini Huracan. 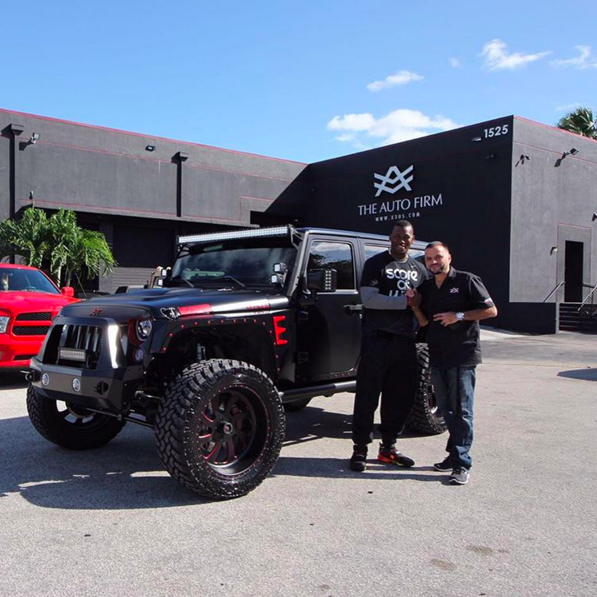 Of course he couldn’t leave the Lamborghini stock and has opted for some pretty bold upgrades on it as well. We hope he doesn’t mind attention because he will certainly be getting a lot of it in a Lamborghini with bright red wheels! Props to him for going big!